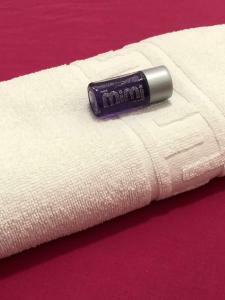 Located just 35 metres from La Rambla, Hostal MiMi Las Ramblas in Barcelona offers free WiFi and 24-hour front desk. 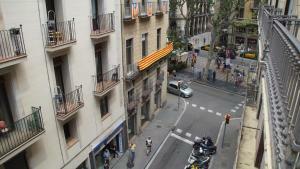 The guest house is 20 minutes’ walk from La Barceloneta Beach. 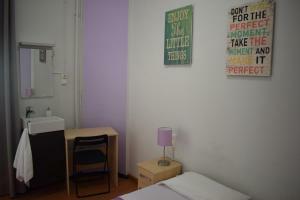 Wooden-floor rooms at Hostal MiMi Las Ramblas come with a wardrobe and a desk. 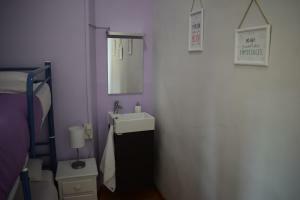 The shared bathroom includes a shower, and guests can also enjoy a shared living room. A wide range of bars and restaurants offering traditional Catalan and Spanish cuisine can be found in La Rambla, within 2 minutes’ walk of the guest house. 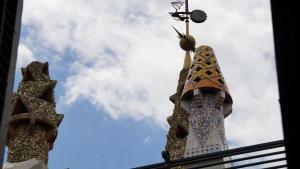 Plaza Catalunya is is 10 minutes’ walk from Hostal MiMi Las Ramblas and guests can enjoy a range of nightclubs in La Rambla. 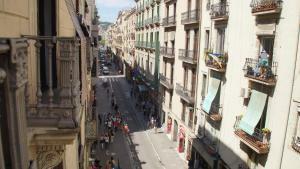 The closest metro Station is Liceu, 3 minutes’ walk from the property and Barcelona Port is 9 km away. 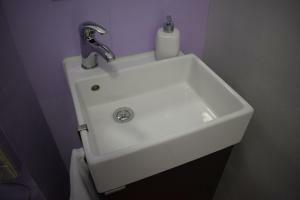 Hairdryer and ironing facilities are available at an extra cost. 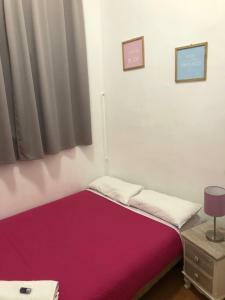 This room features 2 single beds (90 cm), a balcony with views to the city, flooring wood, free WiFi connection, a wardrobe and a desk. The bathroom is shared and has a shower. There is also a shared living room with TV. 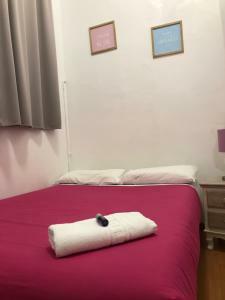 This room features 2 single beds (90 cm), a balcony with views to Palau Güell, flooring wood, free WiFi connection, a wardrobe and a desk. The bathroom is shared and has a shower. There is also a shared living room with TV. 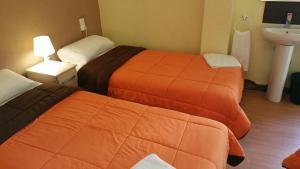 This room features 1 double bed (150 cm.) 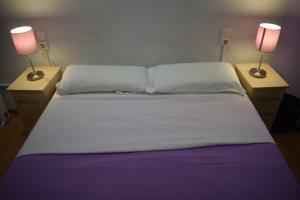 and 1 single bed (90 cm. 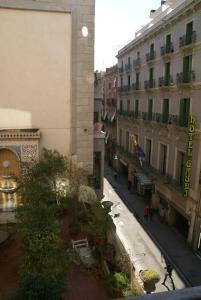 ), a balcony with views to Las Ramblas, flooring wood, free WiFi connection, a wardrobe and a desk. The bathroom is shared and has a shower. There is also a shared living room with TV. 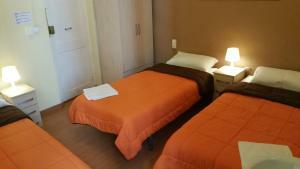 This room features 1 double bed (135 cm), flooring wood, free WiFi connection, and a clothes hanger. The bathroom is shared and has a shower. There is also a shared living room with TV. This room is interior, without views. 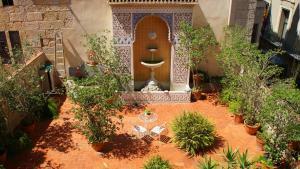 Rate: € 25.00 ... € 66.00; select dates below to get current rates. 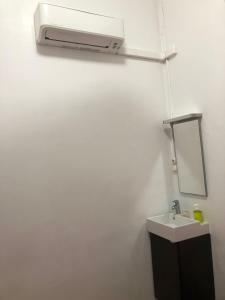 This room features 1 double bed (150 cm), a balcony with views to the city, flooring wood, free WiFi connection, a wardrobe and a desk. The bathroom is shared and has a shower. There is also a shared living room with TV. 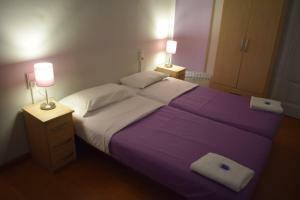 Rate: € 36.11 ... € 46.91; select dates below to get current rates. 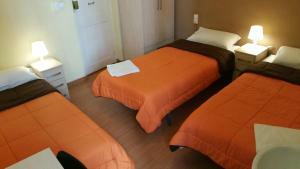 This room features 3 single beds (90 cm. 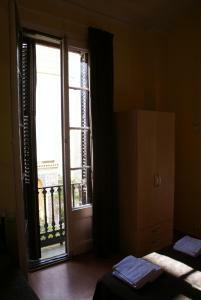 ), a balcony with views to Las Ramblas, flooring wood, free WiFi connection, a wardrobe and a desk. The bathroom is shared and has a shower. There is also a shared living room with TV. 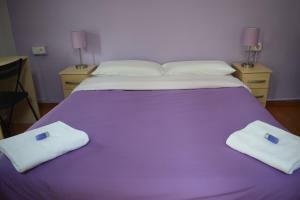 Rate: € 25.00 ... € 66.19; select dates below to get current rates.